Its Humpday! Yeah the weekend is just a few more days away. We just have to get through these last couple of days and we are home free. Nope just another wild style from the runways in Berlin, Germany this week. During a daylong fast these Hindu women take a holy swim in the Salinnadi River. 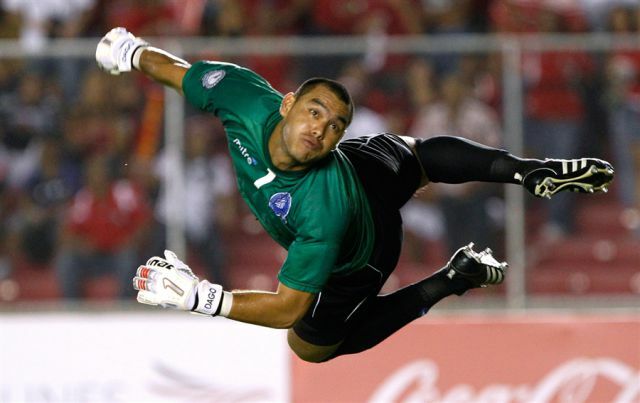 Dagoberto Portillo in the UNCAF Central American Cup soccer match in Panama City. He looks like the flying nun as he challenges a ball. 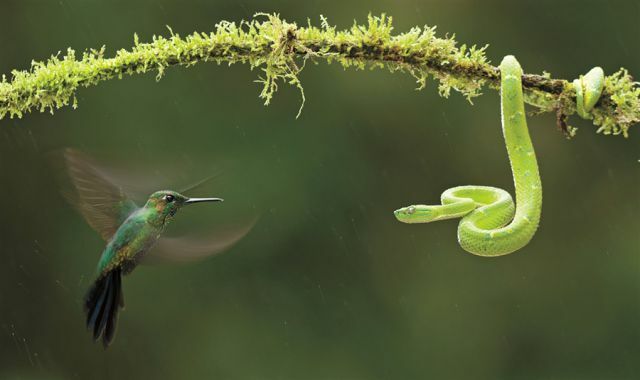 This hummingbird doesn’t give up any air space to this tree viper. Two Ukraine acrobats perform during a routine circus performance rehearsal. 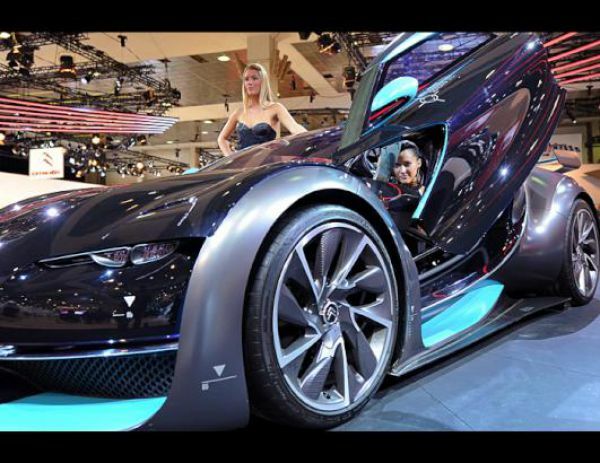 This gorgeous ride was shown at the 89th European Motor show in Brussels. 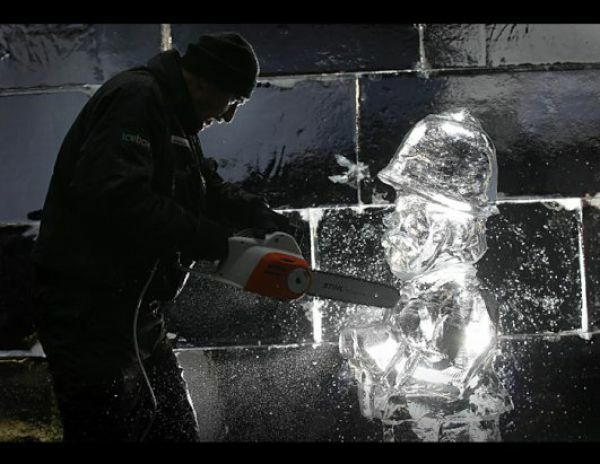 This man finishes off a sculpture of a London policeman during the London Ice Sculpting Festival. 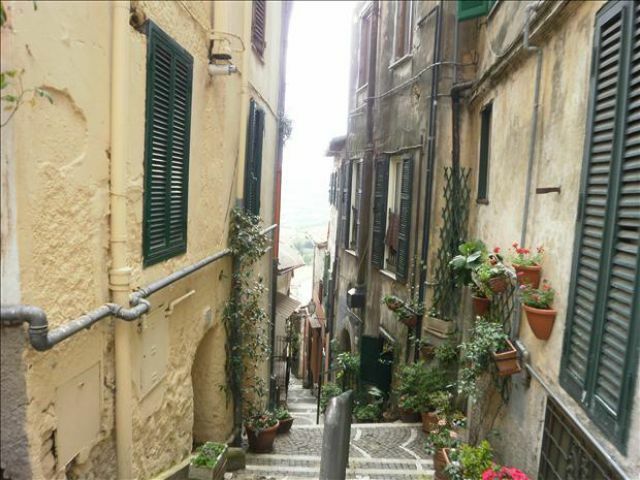 In Italy, where the streets hold hanging plants to make your day better. 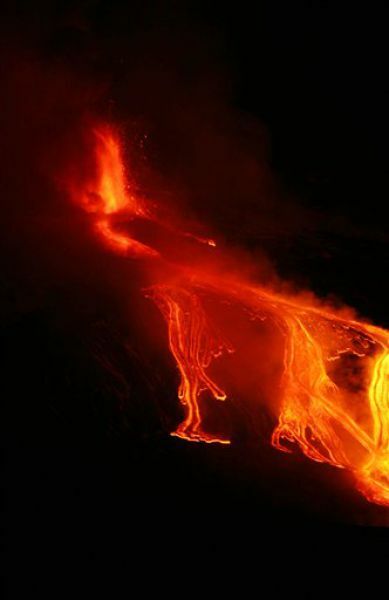 This picture captures the lava as it comes flowing out of the eastern rim of Mount Etna in Catania.